Queen Anne Remodel : menu. 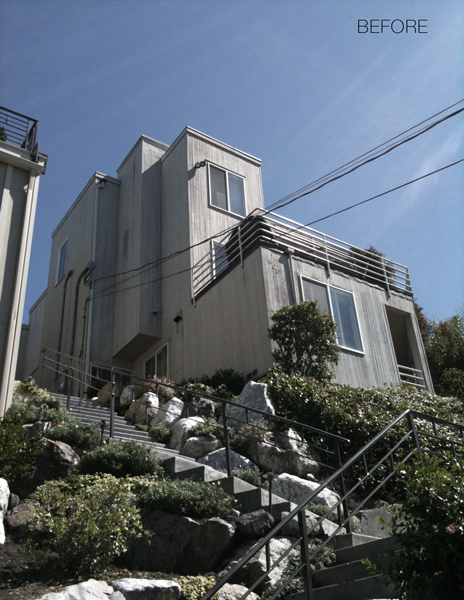 This duplex from the 1980s was in bad need of a facelift. 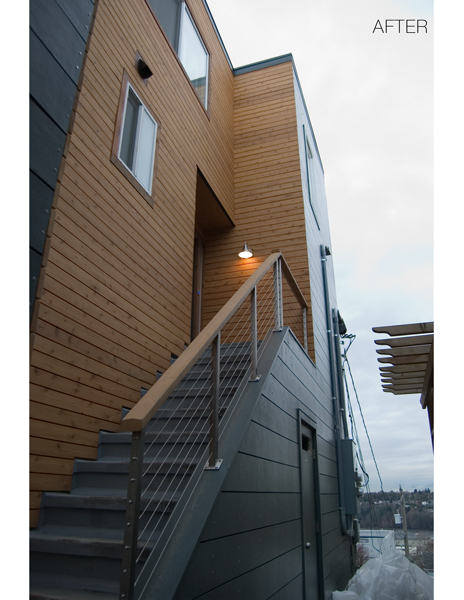 Dark gray hardiplank and warm cedar were used to create some contrast and to help define the existing lines of the structure. 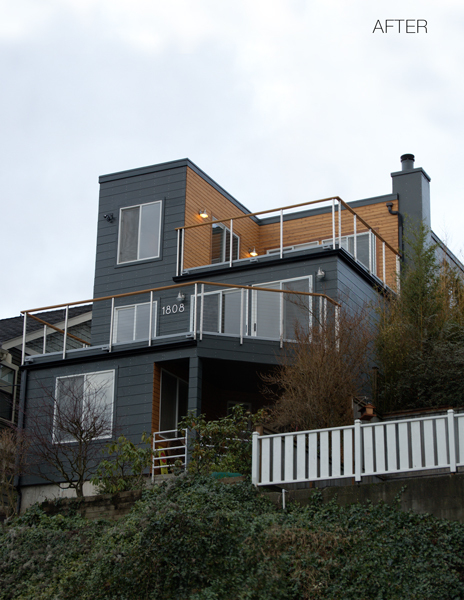 New railings, exterior lighting, and deck treatments were also included.